When you go deep in the playoffs, opportunities arise for everyone in the organization. The coaching ranks are no exception as assistant coach Karl Taylor was named the head coach of the Milwaukee Admirals this morning. Taylor has been the assistant for Texas since 2014-15, running the defense and penalty kill during that time. He becomes the 21st head coach of the Milwaukee Admirals after Dean Evason headed to the NHL this offseason to become an assistant with Minnesota. This is the first time that Texas has had just one of the two coaching jobs open at one time. Each of the previous assistant coaches (Paul Jerrard, Jeff Truitt, and Doug Lidster) left at the same time as their paired head coach. Nashville Predators President of Hockey Operations/General Manager David Poile announced today that Karl Taylor has been hired as head coach of the Admirals. 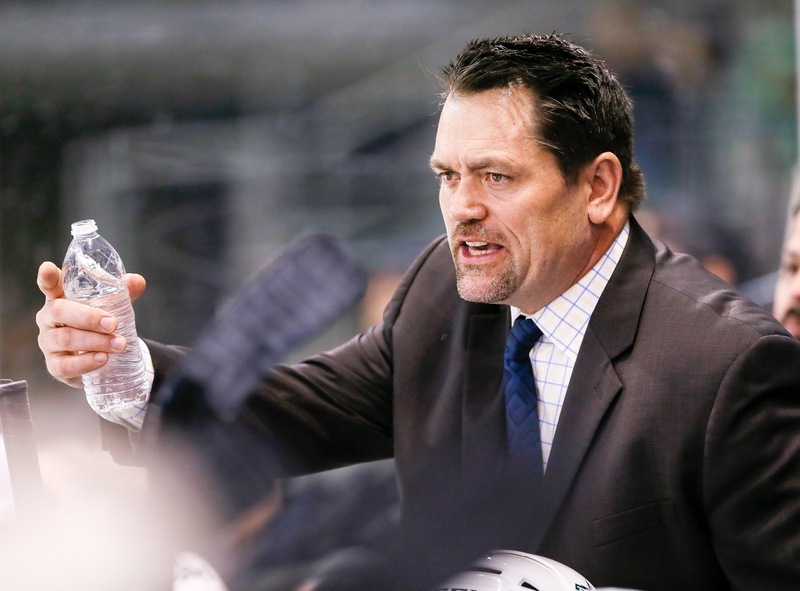 Taylor, a 47-year-old native of North Bay, Ont., comes to Milwaukee after spending four seasons with the AHL’s Texas Stars as an assistant coach. He is the 21st Head Coach in Admirals history, replacing Dean Evason who took an assistant coaching position with the Minnesota Wild. In Texas, Taylor’s teams went a combined 152-108-30-14 and made the playoffs in three of his four seasons. 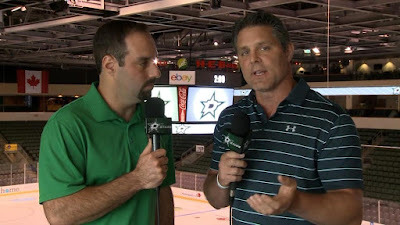 His tenure was headlined by the Stars’ appearance in last season’s Calder Cup Finals, where they came one game from claiming the AHL title, falling to the Toronto Marlies in Game 7. With Taylor behind the bench, Texas earned at least 90 points in three seasons, including the 2017-18 season’s 90-point effort (38-24-8-6) that culminated with the AHL’s Western Conference Championship. Prior to joining Texas, Taylor spent one season as an assistant coach for the Western Hockey League’s Portland Winterhawks in 2013-14, where they finished second in the WHL’s regular-season standings with 113 points (54-13-5 record). Taylor helped guide the Winterhawks to the WHL Finals as the 2014 WHL Western Conference Champions, where they fell to the Edmonton Oil Kings in seven games. Before jumping to the WHL, Taylor served as an assistant coach with the AHL’s Chicago Wolves in 2011-12 and was a head coach in the ECHL for six seasons from 2005-11. He was at the helm of the Reading Royals from 2005-08, making the playoffs in two of his three campaigns, amassing a 112-82-22 record in the process. Taylor then became the first head coach of the ECHL’s Ontario Reign from 2008-11, leading them to the playoffs in their inaugural season. He finished second in the John Brophy Award voting for ECHL coach of the year in 2008-09. Taylor played three seasons in the Ontario Hockey League with the Windsor Spitfires, London Knights and North Bay Centennials, tallying 35 points (16g-19a) in 137 games from 1988-91. Following his junior career, he played for the University of New Brunswick from 1991-95, serving as an alternate captain in his final three seasons. Taylor also spent time as a head coach at Red Deer College in Alberta and the University of Waterloo before landing his first professional coaching job. In a Friday afternoon Twitter release today, the Texas Stars announced that they have signed defenseman Shane Hanna and forward Robbie Payne to AHL contracts for 2018-19. Hanna was on an AHL deal in 2017-18 with Texas but spent most of the year in Idaho. Robbie Payne joined Texas late in the year on an ATO and was a black ace in the playoff run. The Texas Stars, American Hockey League affiliate of the NHL’s Dallas Stars, announced Friday the team has signed rookie forward Robbie Payne and rookie defenseman Shane Hanna for the upcoming 2018-19 season. Payne, 24, joined the Stars on a tryout agreement late last season after concluding his collegiate career and appeared in six AHL games with a pair of assists. The 5-foot-11, 193-pound forward played four years at Northern Michigan University where he tallied 24 goals in 42 games and served as team captain during his senior season. He played 158 games over his four-year career at Northern Michigan with 94 points (54-40=94), including a career-high 34 during the 2017-18 season. The Gaylord, Mich. native also spent time with USHL’s Tri-City Storm and Chicago Steel, plus the NAHL’s Kalamazoo Junior K-Wings. Hanna, 24, appeared in 20 games last season with Texas tallying three assists. The 5-foot-11, 200-pound defenseman also competed in 41 games for the Stars’ ECHL affiliate, the Idaho Steelheads, with 17 points (5-12=17) last year. Before beginning his pro career, the Salmon Arm, British Columbia native appeared in 163 games over a four-year stretch at Michigan Tech with 90 career points (21-69=90) from 2013-2017. 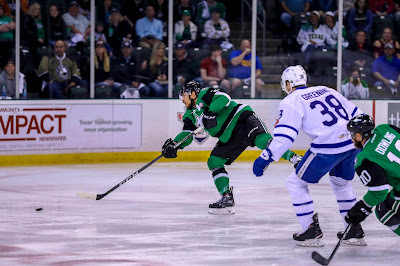 The Texas Stars added another returning forward to their lineup for 2018-19 with Colin Markison signing another AHL contract for the coming season today. The speedy forward racked up 27 points for Texas, mostly on the bottom six. He occasionally flexed up to the top 6 for added speed in the lineup when the Stars were thin. The move, which was only announced on Twitter, is Texas's second announced AHL signing of the offseason along with Travis Morin. 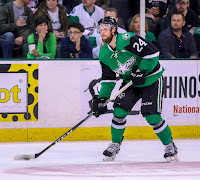 The Texas Stars, American Hockey League affiliate of the NHL’s Dallas Stars, announced Thursday the team has re-signed forward Colin Markison for the upcoming 2018-19 season. 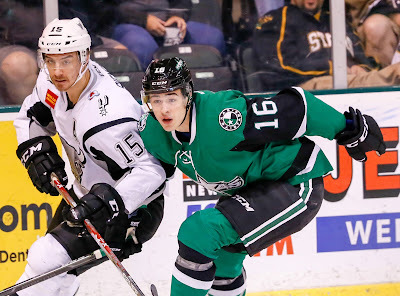 Markison, 25, is entering his fourth AHL season and second straight with the Stars after tallying 27 points (7-27=27) in 73 games last year. The 5-foot-10, 185-pound native of Princeton, N.J. has appeared in 146 AHL games in his career with 45 points total (13-32=45). 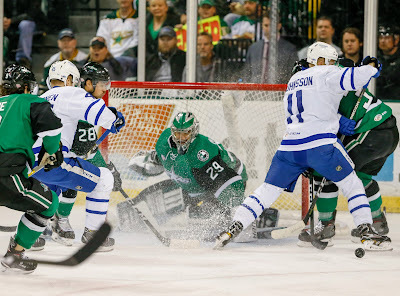 This past season, Markison also recorded five points (3-2=5) in 22 playoff games for the Stars, including the primary assist on Roope Hintz’s overtime goal that sent Texas to the Calder Cup Finals. Prior to his professional career, Markison spent four seasons playing for the University of Vermont (2011-2015) and two seasons with the USHL’s Omaha Lancers (2009-2011). In a pair of moves over the last two days, Dallas helped shape the Texas Stars roster considerably by extending qualifying offers and making a signing. First, Dallas extended qualifying offers to seven restricted free agents, many of whom saw time in Texas this season. They included Philippe Desrosiers, Jason Dickinson, Remi Elie, Dillon Heatherington, Mattias Janmark, Devin Shore, and Gemel Smith. The only unqualified RFA was Cole Ully, who will become an unrestricted free agent on July 1st as a result. Dickinson, Elie and Heatherington are all expected to compete for jobs in Dallas this season. Janmark, Shore and Smith appear to have solidified themselves in Dallas. Desrosiers is a question mark for Texas versus Idaho. Further, Dallas signed mid-season pickup Reece Scarlett to a one-year, two-way deal. The defenseman was the return for Ludwig Bystrom, who was sent to Florida and played with the Springfield Thunderbirds all season. Bystrom was also re-signed by Florida, so it appears the deal worked out for both sides. 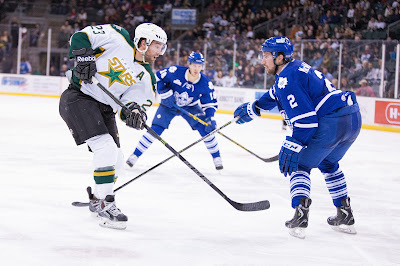 Scarlett was a stalwart defenseman for Texas in the Calder Cup run, playing every game and provided steady defense. With 273 games played, Scarlett counts as one of the club's veterans for 2018-19. Only one player has laced up his skates for every single season of Texas Stars hockey. That streak will remain unbroken as Travis Morin has re-signed with the club on an AHL contract for 2018-19. Morin, who started his career with Texas on a professional tryout in 2009, is the most important Star in team history. He won league MVP honors in 2014 along with playoffs MVP on the way to a Calder Cup. He holds nearly every offensive record for the team after playing in 618 career games with Texas. 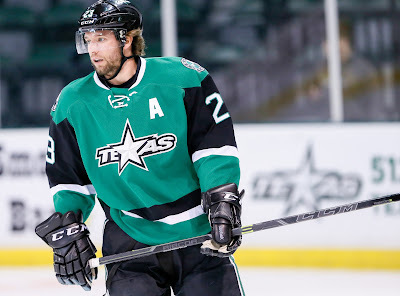 "Travis has been the face of the Texas Stars for nine seasons and continues to be an important part of what we do as an organization," said Texas GM Scott White. "He continues to contribute as an impact player on the ice for us and, off the ice, he is an important example to our younger players on what it takes to reach the next level in their careers." There is no doubt that when Morin retires, which could be after this coming season, his number will never be worn again in Texas. This morning, the Austin Business Journal reported that Perardi Development in conjunction with Chaparral Ice is working to create a new multi-sport complex in Cedar Park, which will include ice facilities. The iSports Training and Performance Center will be located at the southeast corner of 183A and Scottsdale, just one exit north of the H-E-B Center at Cedar Park. The plan is to create two NHL sized rinks and become the future practice rink of the Texas Stars. 100 Degree Hockey reached out to the owner of Chaparral Ice, Ryan Raya, this morning. We caught up this afternoon. "We're super excited about it," said Raya. "It's been about four years in the making since I moved to Austin." Raya sees Austin as being very much like Washington, DC, where he lived before moving to central Texas: a hockey hotbed waiting to happen if there were just more ice in town. He purchased the Chaparral Ice 18 months ago but began exploring ice options in Cedar Park a year before that. The current effort is a joint project between Eric Perardi and Chaparral Ice. "[The Texas Stars] know the project is going on, and we made them aware that it was going on a few years ago. However, there hasn't been any stars money or effort behind this." Texas practices at the Chaparral Ice at Anderson and Burnet now, and Raya assumes Texas will start practicing at a facility around the corner if it's available once the construction is done. Ground breaking could happen as soon as this fall. 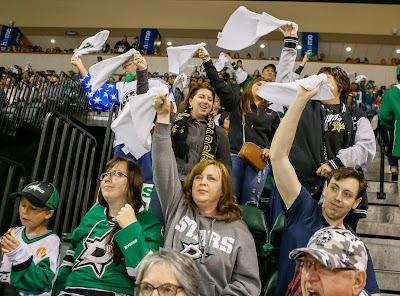 With the wound still fresh, Texas Stars fans got out the shaving cream today and trimmed up their playoff beards, literal and figurative ones alike. I personally spent a decent amount of time after last night's game just staring off into space thinking about what this team accomplished this year. I kept coming back to the same phrase that's become a bit of a meme for the media corps: "You've gotta give them credit." Every coach has their phrases they love to use. Coach Pyle overused the word "phenomenal." Things weren't great; they were phenomenal! Coach Desjardins would dig up, "That's a good team over there," with blistering frequency to describe some club they'd just blitzed 4-0. And Coach Laxdal leans on "You've gotta give them credit." Sometimes it's "our guys" with the credit, and sometimes it's "their guys." But today, it's 'our guys.' You've gotta give them credit. We were never quite sure during the early season if this was a team bound for the playoffs or not. Texas would win 8 out of 10 (e.g. Nov 21 - Dec 3) and then turn around and lose 8 of 10 (e.g. Dec 20 - Jan 10). They would follow up that losing bout with two dominant wins against the best team in the West at the time, the Moose, in Winnipeg (Jan 19 and 20). Something clicked right around that point, and the Stars would open a can on the league. Before the Manitoba games, Texas was 20-15-4-2. They went on a season-ending run that saw them go 18-9-4-4. In a division where not every team is on equal footing, I give a lot of credit to a resilient Texas team that battled through to get to overtime in many games where they weren't the better team for much of the contest. Those overtime contest hardened up this club. It made them believe in themselves. They were never out of a game because they had been there before. They almost relished the opportunity when they had their collective backs against the wall late in a contest. Texas finished the season with 37 overtime games to their name between regular and postseason play. You've gotta give credit to Curtis McKenzie, Justin Dowling and Travis Morin. The only three players remaining from that 2014 Cup team made their mark in the playoffs. They went 1-2-3 in scoring for Texas in the postseason while playing every single game. Not really finally, but at least for this post, my goodness, you've got to give credit to Mike McKenna. There will be a future McKenna retrospective post in this space, but for the moment, you have to marvel at what he did to put this team on his back at times to get them to Game 7. Is there stuff to work on? Sure. Wouldn't you love to be basking in the glory of a championship right now? Absolutely. But this team surprised you. I can guarantee it did. And you've gotta give them credit. Playing hockey on June 14th... what else is there left to say? It's game seven of a finals series. Most had Texas bouncing out of the playoffs in round two, but here they sit on the precipice of earning their second championship in five years. The last time the Calder Cup went to a seventh game, the series also featured a team from Texas and one from Ontario. In that 2003 battle, the Houston Aeros beat the Hamilton Bulldogs for the championship. Neither team exists anymore, if that gives you a sense of how long ago that was in the league's terms. Any number of storylines could emerge tonight. Will Mike McKenna turn in another sterling performance to earn his first AHL championship? If so, it couldn't happen to a better guy. His rebound game in Game 6 kept Texas alive through period one and gave them the chance to breakaway in period two. Will Texas get depth scoring like Game 6, rely on their top line like all the other games or get nothing at all? Any of those feels possible right now as the game approaches. Will Garret Sparks have a rebound game of his own for Toronto after being chased on Tuesday? Would Sheldon Keefe consider calling on backup Calvin Pickard to start game 7? Sparks has looked shaky at times in the series, but he's generally gotten it done. It's hard to argue with the results generally even if one game was less than ideal. 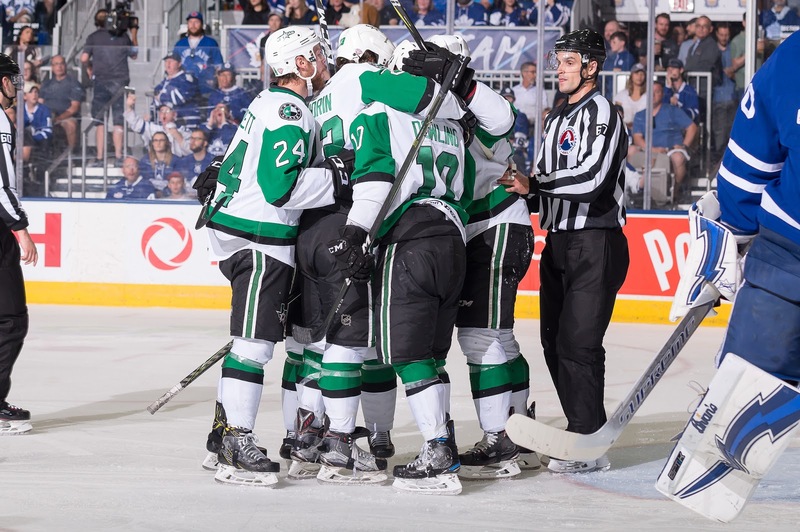 Texas has a 3-0 record in Game 7s all-time including a 6-2 come-from-behind victory against this same Marlies team in the Western Conference Finals in 2014. Toronto is 3-2 all-time in Game 7s. Thousands of words could be written about all the things that tonight's game is and will be, but in the end, the teams will decide the AHL's championship in a winner-take-all best-of-1 series tonight in Ontario to close the entirety of the North American professional hockey season. The Texas Stars beat the Toronto Marlies 5-2 in game 6, forcing a game 7 on Thursday. After surviving a first period blitz from Toronto, Texas responded with three goals in the second period, effectively answering the beatdown they endured in game 5. The Stars received contributions from everywhere in the lineup. Sheldon Dries scored a shorthanded goal in the third period, notching his tenth goal of the postseason. 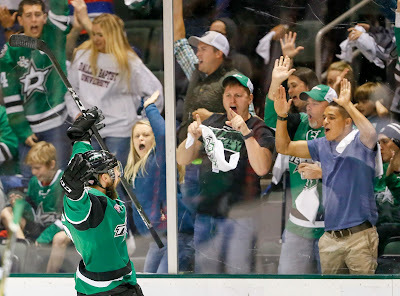 Curtis McKenzie's opening goal gave him eleven for the playoffs. Goaltender Mike McKenna turned in a monstrous effort, stopping 43 of 45 shots. The first nine minutes of play were brisk and competitive, with quality chances going both ways. The Stars generated two good looks on the rush coming from Justin Dowling and Travis Morin. At one point, the shots on goal were tied at 4-4. Then the Marlies turned on their forecheck and forced the Stars to take a delay of game penalty. It would result the Marlies taking control of the game for the rest of the period. Though the Stars managed to kill the penalty while only ceding one shot on goal, they gained no meaningful zone time during the ensuing shifts and struggled to solve the puck pursuit of Toronto. Neutral zone turnovers and poor breakout attempts led to quality chances against McKenna, who handled himself admirably all game, keeping the game goalless at first intermission. 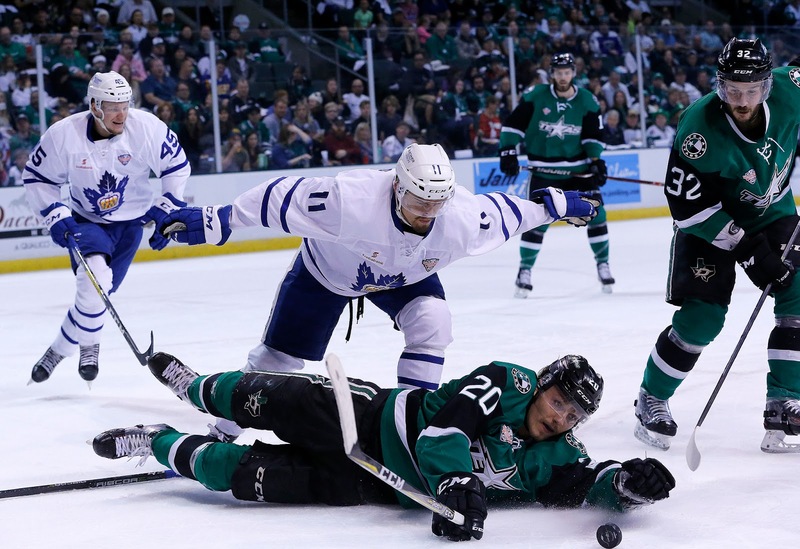 The Marlies ended up outshooting the Stars 12-0 over the latter thirteen minutes of the period. The script would quickly flip. The Stars got their second period push going by being harder on pucks. Nearly seven minutes in, they dialed up their own forecheck and forced the Marlies into a defensive zone turnover, leaving McKenzie 1-on-1 with Garret Sparks. McKenzie made Sparks overcommit on the initial move and find twine with his forehand, drawing the ire of Toronto fans who felt he had committed a penalty behind the net. Matt Mangene nearly netted the second goal on the next shift, but he had a tough angle on the yawning net and only found the post. Morin wouldn't miss on his chance. The Stars dumped the puck in on Sparks near the fifteen minute marker to force him to make a clearing attempt. Dowling came hard on the forecheck and disrupted the clear, taking the puck to the crease. Morin was there to clean up Dowling's offering and push the game to 2-0. The silence at the Ricoh Coliseum was palpable when Austin Fyten provided some secondary scoring and gave the Stars a three goal lead with three minutes left in the middle frame. Fyten earned it by stripping a puck in the neutral zone and taking it all the way for a short side tally. It took less than two minutes for the Marlies to respond in the third period. Calle Rosen found the back of the net from the left circle while McKenna was being heavily screened by Carl Gundstrom. The crowd back into it, the Marlies seemed to be onto something when they drew a penalty one minute later on Reece Scarlett. As has been a motif all series, the Stars did not benefit from any whistles and did not go on the power play once. They did, however, tilt the special teams battle in their favor on the ensuing penalty kill. After McKenna continued to be brilliant while Toronto was forcing traffic towards his crease, Dries sprung loose on the clear and left no doubt on his short side marker that has become a favorite shot of his. Restoring the three goal lead took the wind right back out of the building. The tally led to Calvin Pickard replacing Sparks in net. With five minutes to go in the game, the Marlies pulled Pickard for the extra attacker and found success by once again getting bodies to the net. Justin Holl's shot from the point made its way through traffic to cut into the lead. Any momentum gained from the marker was quickly snuffed out by Colin Markison's empty net goal one minute later. Game 7 will be on Thursday evening at 6:00 PM CDT. 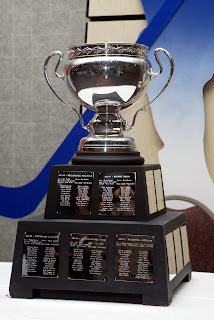 Where is the Calder Cup The Rest of the Year? No matter what, the Calder Cup, the AHL's top prize, will be awarded this week in Toronto. But where has it been this season in the meantime? 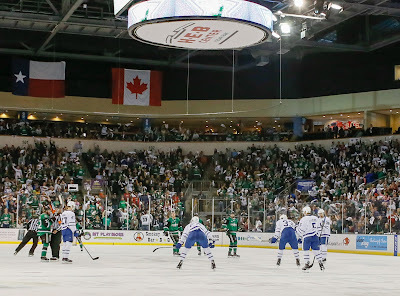 As Texas and Toronto came to Cedar Park tied at 1 early last week, it was possible that the Cup could have been awarded on Saturday if either team swept the games in Texas. Then the question occurred to me, "Where is the Calder Cup now?" I turned to the AHL's PR team, who are in town for the series, to answer that one. Hannah Bevis, who manages all digital and social endeavor for the league, had a few answers. The league doesn't have a keeper of the Cup like the NHL for the Stanley Cup. It stays in Springfield most of the year and actually does not currently have a permanent display case at the league office. The Cup resides in its padded box in storage for most of the season. Aside from promotional appearances, the Cup doesn't come out of storage until it's possible for a team to clinch, which means it never made it to Texas last week. It will be on its way to Toronto today as it could be won tonight. Who comes with the Cup? The league has a rotating staff of front office people who haul the Cup wherever it needs to go. League president Dave Andrews will be on hand to potentially present the Cup Tuesday's evening to the Marlies if they win. No matter what, the Calder Cup will have a new home by Thursday night. 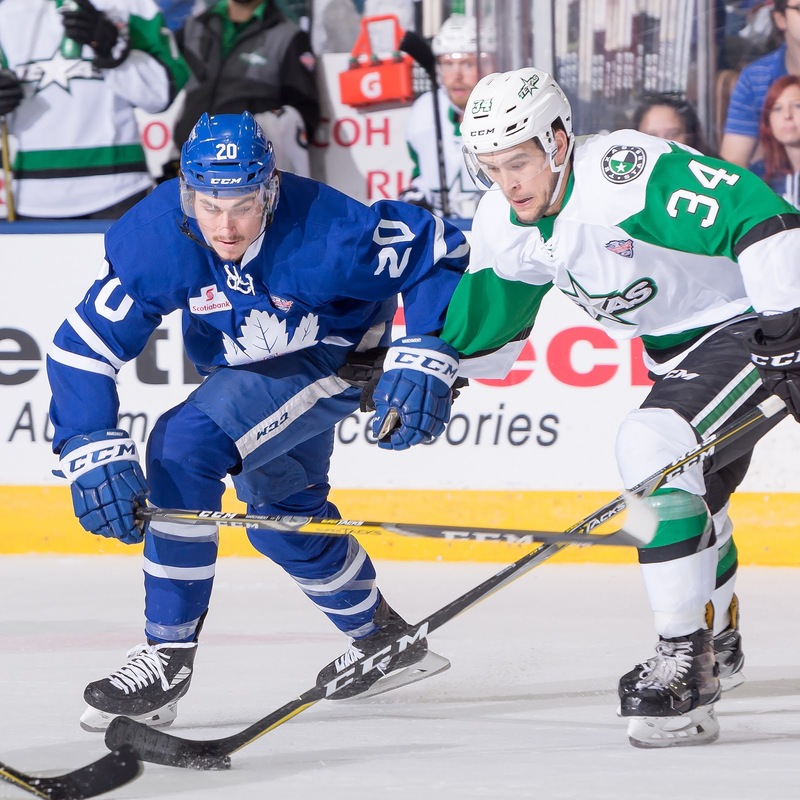 The Toronto Marlies finally got a chance to impose their will on the Texas Stars, playing the game that led them to the best record in the league, and besting Texas in dominating fashion 6-2. Texas had the first few chances of the game, but Toronto scored on two of their first three shots. The Stars never truly recovered. Despite some pretty serious seeming transgressions both ways, there was only one penalty called total in the game tonight. Laxdal was diplomatic, “I’m not going to comment on the penalties. I’ll just leave it at that.” However, he did add that his team needs to be better at drawing penalties. Andreas Johnsson potted his 8th of the playoffs on a breakaway to start the scoring just 92 seconds in. Brent Regner mishandled a puck at the point, sending Johnsson in alone. Dillon Heatherington couldn’t catch him, and it went to 1-0 Toronto. Trevor Moore scored just 47 seconds later, a puck that beat McKenna five hole. The Stars were lucky to make it out of the period down just 2-0 as they were outshot 9-2 at one point and ended the frame down 11-6 on shots. Mike McKenna had issues with rebound control. Texas got a bit of a spark to start the second, but it was short lived. From the point, Gavin Bayreuther bombed his second of the series and third of the playoffs. With the lead cut to one, the overcapacity crowd was re-energized. Toronto took the air right out of the building with Colin Greening’s goal. Greening picked up a pass from Chris Mueller and whipped it past McKenna. The Texas defense seemed to have almost lost track of the puck as it initially struck Greening before coming to Mueller for the pass. Defenseman Calle Rosen stepped up to end the second period strong for the Marlies. First, he absolutely deked the pants off Justin Dowling to get an open lane for the fourth goal. The fifth came as he skated in nearly untouched from his own blue line and rifled one in. The third period would see Landon Bow jump into game action for the first time since April. McKenna would end the night with 17 saves on 22 shots. Bow only saw five shots in the final frame, letting up one to Carl Grundstrom in the 11th minute. It was quickly followed by a rebound tap-in by Sheldon Dries, his 9th of the postseason. Texas had a chance to make it 6-3 with just over four minutes left as Travis Morin scored a goal that was immediately waved off for being played with a high stick. The crowd was incensed, as was the Texas bench. The officials explained the goal to Laxdal but refused to speak to Curtis McKenzie or any other Texas player afterwards. The Stars, down 6-2, did not opt to pull Bow for the extra attacker with the four goal deficit. With three, that might have happened, but four seemed insurmountable. Texas heads to Toronto tomorrow for Tuesday’s Game 6 at Ricoh Coliseum. Tonight's attendance was 6,863, a sellout. Texas solid a decent number of standing room tickets, so it’s unclear why the number wasn’t higher than the usual sellout number. Building record is from Game 5 of the Finals in 2010 at 7,054. All reports from players indicated the ice conditions were great and certainly better than Toronto’s Ricoh Coliseum. There's only one stat that matter tonight: 19-1. In the 20 Finals series before this that have been tied at two, the team that wins Game 5 has gone on to win. 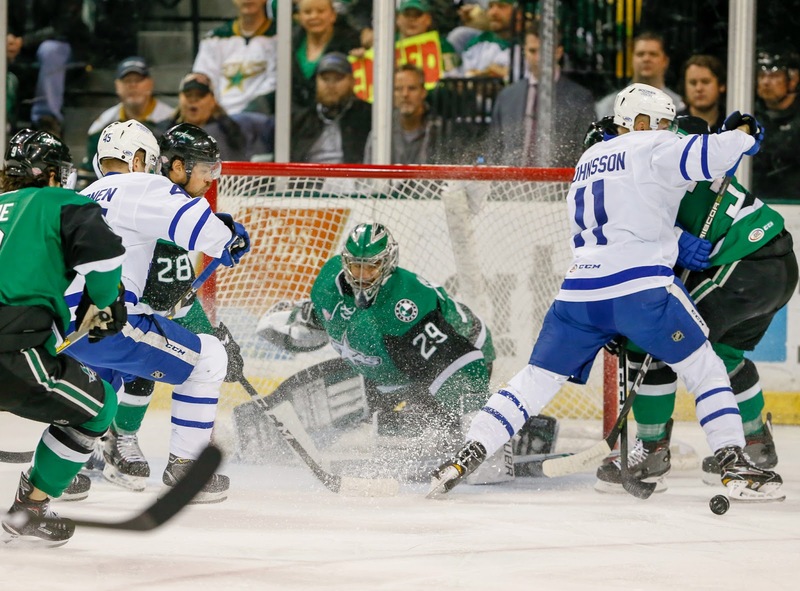 To get that third win, Texas needs to do what it did on Thursday: frustrate the Marlies. It was clear from postgame comments and even on-ice body language that Toronto did not expect to be challenged like this in the Finals. "They’re playing their best hockey--that’s pretty clear," said Toronto coach Sheldon Keefe of Texas after Game 4. "They’re a big, fast, heavy hockey team and there’s not much between the two teams. It’s a matter of who’s going to find a way to get one more than the other team." When asked what he could take away from the fact that each game has been a one-goal margin but no overtime, Keefe repeated several times that "there's not much between these two teams." If nothing else, Texas has earned the respect of the Marlies squad. They are having to respect all four lines and take "no shifts off." The way Texas has played since Christmas was shown in full effect in the third period on Thursday. Tight shot counts (only allowing six shots) and a bend don't break defensive effort overall. "You gotta give a lot of credit to our leadership group in the dressing room," said Laxdal. They know what’s at stake. They know what the third period [entails]. If you lose that third period, you’re down 3-1 in the series and you’ve got a deep whole to cover. I thought our guys managed it well." One thing to watch for tonight is ice condition. If you're reading this before 2:30 PM today, the ice at H-E-B Center is still under 100s of folding chairs. Graduations for 5 different Leander ISD high schools took place over the last 48 hours and the last one today, Rouse, starts at noon. Finally, the Stars are expecting a packed house as they announced a sellout yesterday. If you don't already have tickets, check the secondary markets or head to the box office at 10AM for standing room only seats. They'll be limited, but it at least gets you in the arena for the final home game of the season. None reported, but surely some that we'll learn about once the series is over. The Texas Stars turned the Calder Cup Final into a best-of-3 tonight with a 3-2 victory at home in Game 4. 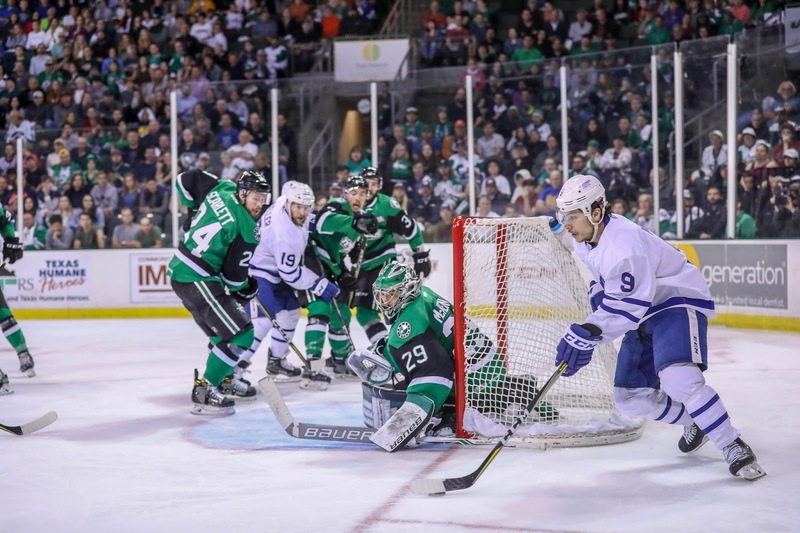 The top line shined again as Curtis McKenzie collected two and Justin Dowling tipped in the game-winner. Texas had the first good chance of the game as Travis Morin fanned on a zippy pass and couldn't send it to the open net. The play went the other way 3-on-1, and Mike McKenna bailed out the power play unit with a save. The Stars would open the scoring in the first with that exact same line getting the tally. Morin's initial shot popped up high of Brian Flynn at the net, and the Toronto D lost track of the puck. McKenzie found it and beat Sparks to go up 1-0, their first home power play goal of the series. After one, Texas held the 1-0 lead despite a 13-10 Marlies shot advantage. Justin Dowling with the genesis of Texas's second goal. Carrying down the left side, he found McKenzie in the slot. McKenzie wasn't all alone, but he was certainly uncovered as Vincent LoVerde had lost him on the play and wasn't defending on the play in the slightest. As the second wore on, Texas had several chances to take the kill shot. The best of them came off the stick of Brent Regner, who say his shot ride up Sparks' chest pad, hit the crossbar and fall away harmlessly. Shortly thereafter, Toronto finally activated. Dmytro Timashov knocked one in on a wild swing after Texas couldn't corral the puck in the paint. McKenna was standing, expecting the clear, and saw it go five hole. Just forty second later, Justin Holl and Andreas Johnsson broke in 2-on-1. Holl found Johnsson on the right wing side, and McKenna had no chance. Unfazed in the third, Texas came out on top thanks to a set play from Justin Dowling, a redirect from Matt Mangene’s point shot past Sparks. Dowling narrated, “We’ve been doing that all year, getting someone to the high slot to get more options. If you can play it off the end wall or get someone in the high slot, you can redirect it. Coming down to the wire, Texas rolled out Brian Flynn, Dillon Heatherington and Brent Regner for most of the final three minutes, even when there was a chance to change out those tired legs. Heatherington had his best night of the playoffs this evening and the D corps was solid overall. Keefe called it the most mobile backend he’s seen. The Stars have guaranteed Game 6 in Toronto, but Game 5 comes first on Saturday night here in Cedar Park. 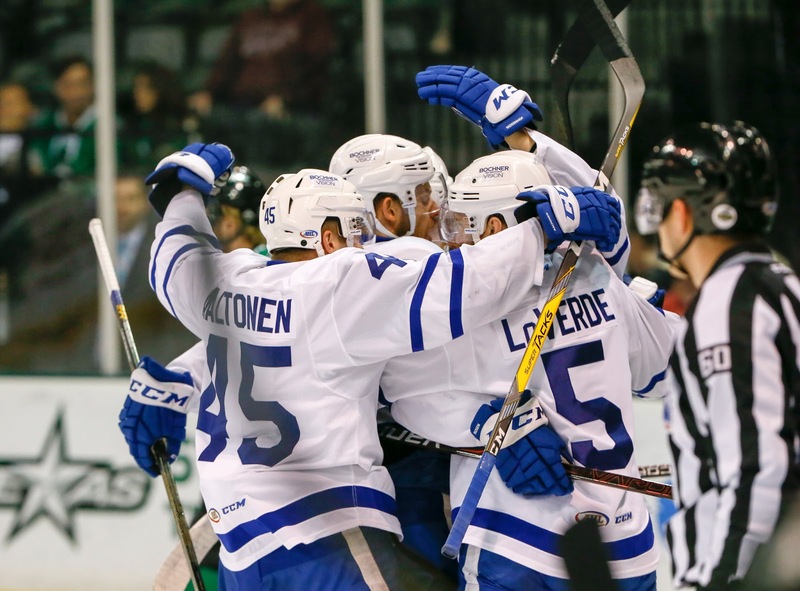 Toronto pushed back tonight in Cedar Park with another tight 2-1 game, this time ending in favor of the Marlies. With the win, Toronto takes a 2-1 series lead and regains home ice advantage. It was a wide open game in terms of officiating as the refs put away the whistles almost entirely. 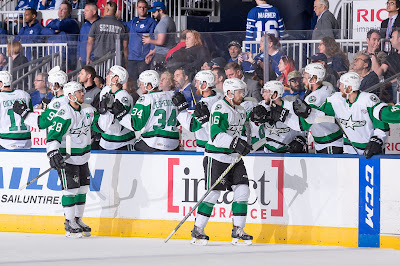 Curtis McKenzie took the only penalty of the game late in the third, even though Texas and Toronto could have easily earned multiple power plays throughout the contest. Brent Regner, who had a good night despite the loss, said he “would rather play with 1 or 2 penalties a game” just to keep the flow going. Almost like period one of a new series, Texas and Toronto seemed to be feeling each other out in the opening frame here. It didn’t last too long though. The Stars had a few good breaks that they couldn’t get to go. Colin Markison had the first chance, and Curtis McKenzie followed up with one of his own a few minutes later. It was a relatively low-shooting period from both teams, as the Marlies topped the shots 7-5. The scoring dam broke in the second period quite early. Sheldon Dries scored his league-tying 8th of the playoffs off a zippy pass from Remi Elie. Dries collected the puck at the blue line and drove in alone, sniping one high glove on Garret Sparks for the 1-0 score. Chris Mueller, who had been kneed earlier in the game by Reece Scarlett and didn’t earn a call, evened things up just three minutes later. It was a deft play by Andreas Johnsson to pass the puck around the back of the net to Mueller, open on the left wing side, for the easy one-timer. Johnsson and the first line had not scored a point in the series yet but opened their account on that play. Keefe called the pass a “big-time play” for his club. The Texas fourth line got victimized for the go-ahead goal with blown coverage on the left point giving Calle Rosen a wide open lane to release his second of the playoffs. Joel L’Esperance got pulled down lower than he should have been on the play and didn’t get to the point in time to disrupt the shot. McKenna was screened by both his own men and Toronto on the shot as well. The Stars worked to even the score in the third, but they couldn’t get anything to go. Garret Sparks earned star honors despite a relatively light workload on the night of just 20 shots. However, nine of those came in the final frame. Texas did get a chance with the empty net and decided to send out the Dries, Dickinson, Elie line for the 6-on-5. The Stars take their shot at evening the series again on Thursday night at 7 PM in Cedar Park. After earning a split in Canada, Texas returns home in a pretty ideal spot given what they were up against. Clawing two away from Toronto in their barn was probably too much to hope for overall. The fact that Texas came so close in Game 1 is a huge sign of their potential as a team to really lock things down here in Cedar Park. 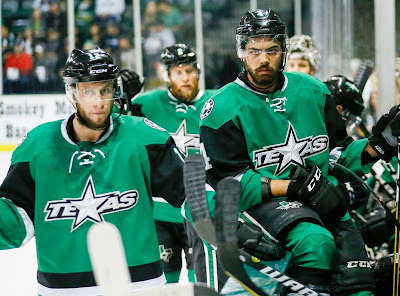 Home games in the Calder Cup Finals have not been kind to the Texas Stars historically. In 2010, Texas was swept at home after winning both in Hershey. In 2014, Texas got the split and then headed to St. John's to win it all by sweeping the IceCaps in their building. That's a 1-4 record at home. However, each team is different for sure. Back to the series at hand, the Marlies had a pretty good home record in the regular season, 24-13-1-0. Where they really shined was an absurd road record of 30-5-1-2. Eight road losses in an entire season is unbelievably good. By comparison, the next best finisher by percentage, Tucson had 10 and they played 8 fewer games. Texas had 21, following the more traditional model of home strength. I would make the argument that the Stars got lucky in Toronto with their win. Aside from Austin Fyten's tally, all points scored by forwards came from the top line. While it's great to see the players who have been in Texas for a while contirbuting, it's not a sustainable model. Gavin Bayreuther's power play goal was a good sign for scoring beyond line one, but it's just one goal of the eight that were scored in Toronto. The Stars need activation from players like Flynn, Dries, Hintz, Dickinson and Elie to compete in this series against a very deep Marlies squad. Playing their third game in four days, relying on the top line is not a recipe for success. Texas depth scoring needs to contribute or the speed and depth of the Marlies will outpace the Stars over a seven game series. It sounds like Texas isn't quite to capacity for Game 3 but is looking very full for 4 and 5. If you know anyone who is looking for some hockey today, give 'em a ring and let 'em know what's going on in Cedar Park. Nine years ago, I had the idea to start this site, but I needed a name. 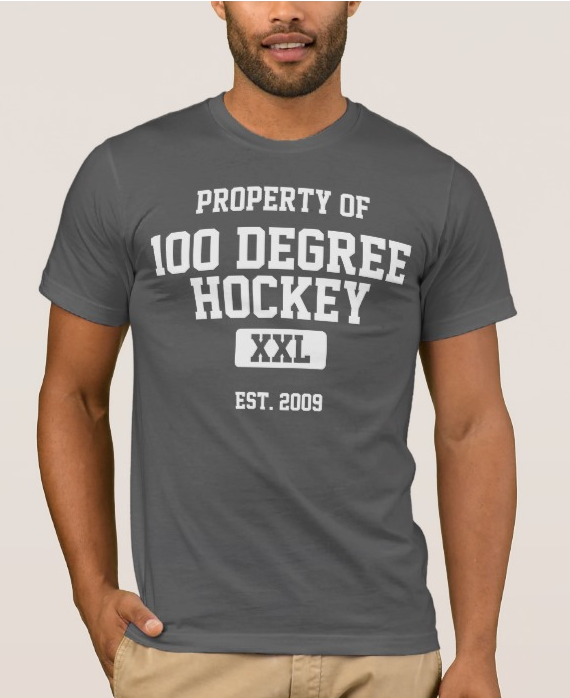 I threw around some names with a Canadian buddy at work, and he had the wonderful idea to play off the irony of ice hockey in city that regularly tops 100 degrees in the summer. And so 100 Degree Hockey was born. The Texas Stars have had the good fortune to play in the Calder Cup Finals three times in their history, the most times of any team in the 2010s. However, the average first day of 100 degree temperatures as measured at Austin Bergstrom isn't until July 11th. The Texas Stars have never played true 100 degree hockey. They've gotten very close on a few occasions though. In 2010, Austin didn't get to 100 officially until July. On June 11th, the final home game of the season, Texas fell to Hershey 2-1 in overtime and the official high at Bergstrom was only 93 degrees. 95 was the peak for the series on June 7th, Game 3. Texas didn't make it out of April in 2011 or 2012. In 2011, Austin hit 100 in late May, so it would have been a match if Milwaukee hadn't knocked the Stars out in round one. With a regular season Western Conference title on their resume, 2013 Texas looked to have a chance at 100 degrees. Oklahoma City snuffed out their chances in the second round. 95 was as good as it got. Again, July was the first month of 100 degree temps in 2014. Even with the final home game of the season coming on June 9th, 95 was again the peak. Texas had a series of first round bounces and playoff misses over the next three seasons, giving them little to no shot at breaking the century mark: 91 (2015), 82 (2016) and 85 (2017). And thus, it's never happened... maybe until this week. This weekend saw 101 on Saturday, but Texas wasn't in town. They were in Toronto. Despite the weekend rain, Austin Bergstrom looks to hit 100 tomorrow. If it happens, we would have our first 100 Degree Hockey day ever. Texas celebrates their second period tally. The Texas Stars power play could have been the scapegoat for a tough road loss this afternoon in Toronto. 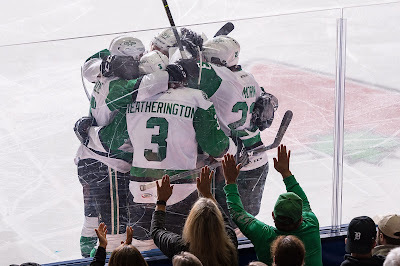 But after failing to convert on a lengthy 5-on-3 in the second, Texas came through in the third with Gavin Bayreuther bombing one from the point to earn a split in Canada and send the series home tied. "I just got out there, and Dowling made an unbelievable play to set the puck right on a platter," Bayreuther told Leafs Nation Network postgame. It was also the first time the Marlies have lost on home ice all playoffs, a ten game streak. Their streak overall stretched all the way back to March 24th before today. Both goaltenders looked more like themselves this evening with just three against Garret Sparks and Mike McKenna combined. McKenna weathered a storm in the first while Sparks weathered one in the second. In the third, the Stars held Toronto to just four shots, an impressive effort considering the final frame is the Marlies best in the playoffs. They had outscored opponents 26-12 coming into this game. After yesterday's feeling out first period, Toronto took charge in today's opening frame. At one point, Toronto was outshooting Texas 7-2 and finished the period with a 13-6 shots advantage. It felt like the Stars were lucky to end the first period down just 1-0. Ben Smith deflected Travis Dermott's point shot for that single goal in the first. Things reversed in the second period, and both sides got into penalty trouble. Dillon Heatherington found Curtis McKenzie at the far blue line on a laser of a pass at 2:45, which he converted into the tying goal. Three minutes later, with Frederik Gauthier already in the box, Colin Greening hauled down Brent Regner trying to get to the puck on a shorthanded chance. That set up a 5-on-3 for 1:37. The Stars couldn't establish any sort of rhythm to the power play. Coach Laxdal decided to take his lone timeout halfway through the advantage to keep the top unit out for the entire 97 seconds. Regner had the best chance of the set, hitting the right post. The Marlies and Stars traded penalies through the rest of the period, which slowed down the pace a bit. Neither broke through, and Texas outshot the competition 13-5 to even things up at 19-18 Texas through two. Gavin Bayreuther's game winner came early in the third. Justin Dowling executed a no-look backhand pass flawlessly to a wide-open Bayreuther. He snapped it high glove side on a screened Sparks for the 2-1 lead. The Stars locked it down from there. Toronto couldn't even get it together to establish the zone on the 6-on-5 in the final two minutes of the game. This game shows Texas belongs in a big way. The series now shifts to Cedar Park for Game 3 on Tuesday. Today's attendance was 8,219, another sellout. Feeling out period over. Yesterday's game was pretty unexpected in multiple ways. The Stars jumped out to an early lead, extended it to two in the second and didn't relinquish it until late in the game. Toronto, the best defense in the league, allowed five goals. Additionally, Texas scored first, won the special teams battle and still lost. However, it was also predictable. Toronto is a deep team, so they weren't going to be held down for long. It might be cliche but it was almost predictable that the game was unpredictable. It would have been folly to suggest that anyone knew what was going to happen between two teams that hadn't played each other in over 1200 days. Today's game will be tighter in both directions. Both teams will know what the other is doing against them. "I'm sure both coaches are going to make some adjustments for tomorrow," said Laxdal postgame. Texas wants a few of those goals back for sure. Ben Smith's late tally in the second was just a bad angle McKenna should have had and normally does. Martin Marincin was left in the slot all alone inexplicably in the early third and got two whacks at it before scoring. 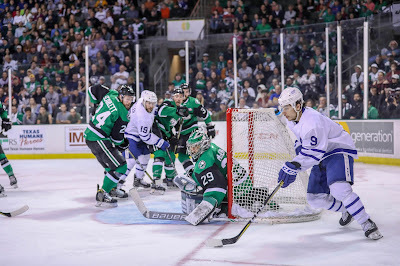 One more goal or one more save and Texas takes it's masterful OT skillset to the Marlies. That didn't happen and now it's 1-0 Toronto heading into today's game. A split in Ontario is the best outcome now and everyone expects to win their home games anyways. So in the end, yesterday's game wasn't a crushing blow. If anything, it showed Texas they can play with this team and they have the means to overcome the little things from yesterday and succeed. Coming into tonight's game, neither club had lost when scoring first. Texas notched the first goal but ended up falling 6-5 as Toronto activated for three goals in the third period and overcame a 2-goal Texas lead in the second. The guys who've been here before were big time contributors for the Stars in this one. Travis Morin had a pair of goals. Curtis McKenzie tossed in a power play marker. Justin Dowling set up Morin's nice second period goal and had a fantastic individual effort to tie the game in the third. Texas certainly looked like they belonged in this game. It wasn't a mismatch by any means. 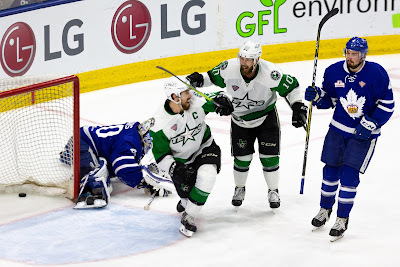 When the Stars were effective, they were limiting the speed of the Marlies through the neutral zone and using the power play to exact revenge. Texas finished with a 2/4 power play effort while halting 4/5 on the penalty kill. The all-important first period of a new series is usually one for a feeling out period. As mentioned in the preview this morning, Texas had a chance to take charge with special teams, and that's what happened. With a Marlie in the box, Travis Morin sniped one so quick it got waved off at first. On review, it was a clear goal from every angle, and the Stars took the early lead. Two minutes later, Justin Holl scored from the corner after his attempted pass bounced off Texas D-man Reece Scarlett and in. The power play struck again for the Stars with Curtis McKenzie scoring on a skillful play. Brnet Regner found McKenzie at the opposing blue line ready to jump and he beat Sparks high blocker for the 2-1 lead, which Texas would take to the break. Each team potted two more in the second period. Frederik Gauthier got his second of the playoffs on a one-timer as he snuck to the slot uncovered. Austin Fyten collected a nice goal off the pass from Matt Mangene on the halfwall, and Morin extended the lead with some fancy stick work from Justin Dowling leading to the initial shot. Ben Smith would score a squeaker of a goal with 15 seconds left in the frame to make it 4-3 Texas at the second intermission. Toronto found another gear to start the third period. 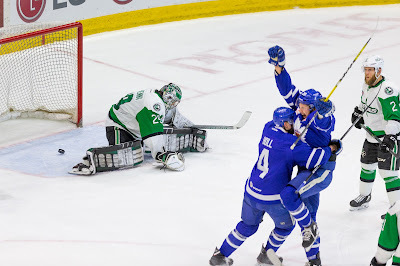 Mason Marchment scored just as a Texas penalty expired and Martin Marincin put the Marlies ahead for the first time in the game with his first of the playoffs just two minutes later. Marincin was all alone in front and got a second chance at the puck to score. Down 5-4, Justin Dowling put the team on his back for a second and went in alone from his own blue line, finishing off his own shot for the 5-5 tie game early in the third. Toronto wasn't done as the power play finally broke through for the Marlies. Trevor Moore came off the bench with a new twig and one-timed it past McKenna for the 6-5 lead. McKenna would keep Texas in it with a huge breakaway stop on Dmytro Timashov with two minutes left and then head for the bench with 90 seconds remaining. Texas couldn't get established on their 6-on-5 and fell 6-5. Mike McKenna stopped 28 of 34 while Garret Sparks halted 32 of 37. Texas and Toronto face off again tomorrow at the same time for Game 2. Tonight's attendance was 8.217, a sellout. For the third time in nine years, the Texas Stars face off against the Eastern Conference champions for a chance at the crowning achievement of every AHL season, Calder Cup glory. This year, Texas sits in a very similar position to the first time they went to the Calder Cup. While everyone remembers that team for the postseason run they went on, one thing that gets glossed over is that they were not the best team in the conference in the regular season. They weren't even the best team in the division. Finishing second in the West Division after a 10-4 finish through March and April, they were favored in their first round matchup against Rockford but not really considered a threat thereafter. Now, Jamie Benn was an X factor that got added to the lineup for the postseason, but Texas was not the 'smart' pick going into either the second round against Chicago or the third against Hamilton. The final round against Hershey was no different, but the team had a belief, based on their success in the first three rounds. The Bears were the best team in the league that season. Texas surprised, going on the road and winning both games in Hershey to open the series. They disappointed as they came home to lose all three at home and then fall in Game 6 back in Pennsylvania. So how much of that sounds familiar this year? A team that finished second in its division off a strong March/April, surprised a few opponents to get to the Finals and faced the team that was a regular season juggernaut. So it ain't gonna be easy. Texas needs a split in Toronto, no question. Coming back down 0-2 is far less than ideal. 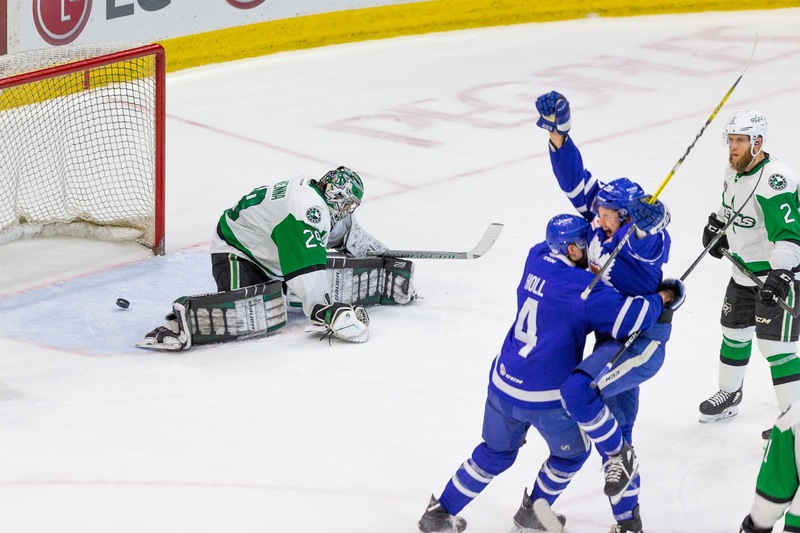 The Marlies are built on the classic AHL combination for success. Pricey but successful veterans form an experienced core for flashy, young kids to work with. 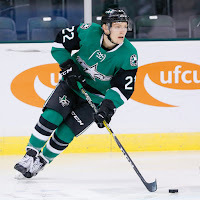 Those veterans are familiar for Texas fans: F Ben Smith (5-6=11 in 13 GP), former Texas Stars C Chris Mueller (2-8=10 in 13 GP) and D Vincent LoVerde (0-1=1 and plus-12 in 13 GP). Add in those young kids like Andreas Johnsson (6-9=15 in 9 GP), Trevor Moore (4-9=13 in 13 GP) and rookie Carl Grundstrom (6-4=10 in 13 GP). One place where Texas could beat up on Toronto is special teams. It's slight, but Texas holds an edge over Toronto on the overall penalty kill (84.1% vs 81.0%) with near even power plays (23.4% for TOR with 22.0% for TEX). Texas's road PK has been stout at 85% with Toronto's home PK at 80%. Again, it's a slight advantage. Texas has had the fewest shorthanded opportunities per game of any team that advanced past the first round (2.93). However, Toronto isn't far behind at 3.23. It's so small as to be unmentionable, unless you score when it matters on that extra PK every three games. Texas has a good chance to come out and surprise Toronto in Game 1 today. Neither team knows what to expect of the other. It says a lot to close with this fact. Both teams are undefeated in the postseason when scoring first. Texas is 8-0 and Toronto 9-0. First goal wins. 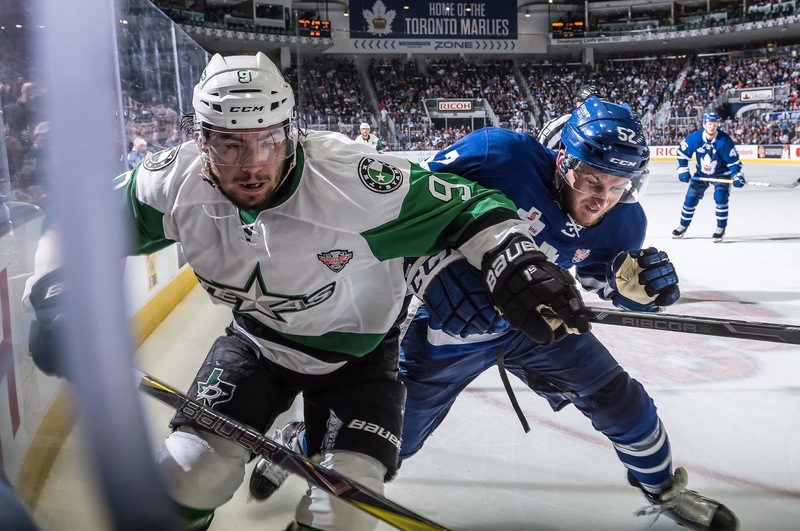 Following his trip to the Memorial Cup, forward Nicholas Caamano has been reassigned to the Texas Stars this morning. The Hamilton Bulldogs forward was a big part of his team's OHL championship. He collected just over a point per game at 10-12=22 in 21 games played. 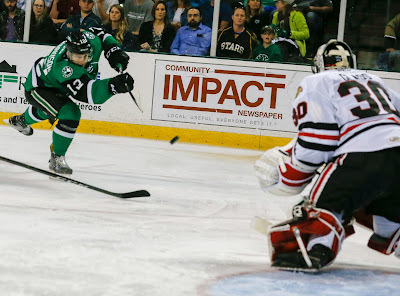 Caamano played six games last year on ATO with the Texas Stars, collecting three assists. It's unlikely Caamano will play in any of the Finals games. However, this experience as a black ace will send him into the summer with a great high-level exposure to even more championship level hockey either way.